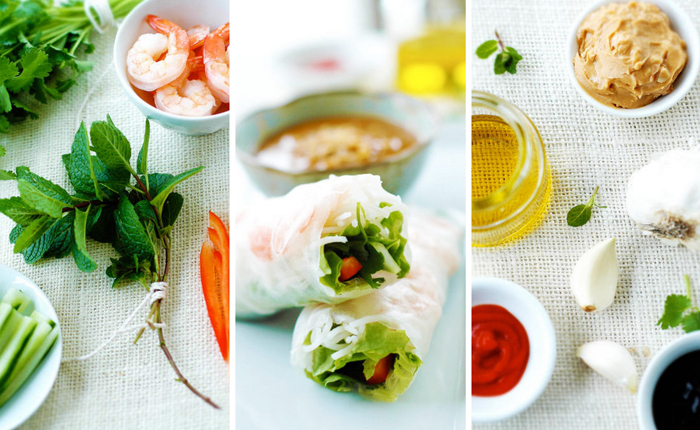 When I last visited my family in Texas, my mom and I picked up some fresh Vietnamese spring rolls for dinner...and I am still thinking about how delicious they were. The lightness of the ingredients combined with the fresh taste sets these rolls up right at the top of my "fave summer foods' list. Head on over to Design*Sponge for the full recipe to make these versatile and simple rolls. Mom - if you are reading this (which I am certain you are) - I can't wait to whip some of these up with you! They are an amazing summer treat :) I was filling up on them with my mom when I was home a couple months ago too, haha. gee...how did you know...I think it was the fresh mint they used. So yummy.I could go for these right now! of course strolling in i see these delish rolls and decadent tasties right off the bat. i think i had dinner a bit too early tonight and now want 2nd's - baha! another D*S wonder i see. nice!